Kickboxing World Cup 2017 united over 12 nations in a sports fiesta held on March 10 in Tehran. Promoter Mr Reza Hejazi and the WKN world office have produced a tremendous success reaching its goal of popularizing and developing the sport in Iran. The event that aired live on national TV networks leads to the following edition of international kickboxing show in the country this summer. The championship was an eight man welterweight kickboxing tournament. 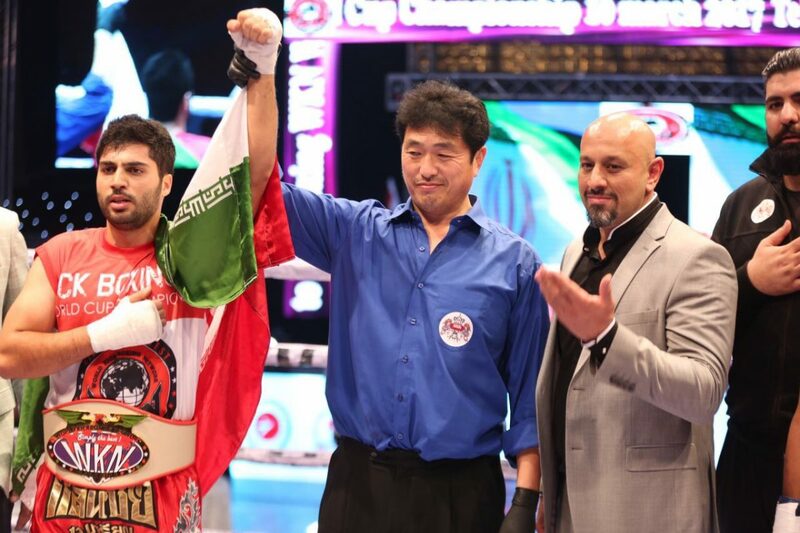 Askgar Hosejni of Afghanistan won three bouts during one evening consequently earning a prestigious belt. In addition four international title bouts featured on the card. The fight results are presented below. The day-by-day photo report can be found here. The head officials were Klaus Hagemann of Germany and Atsushi Onari of Japan. The president of the World Kickboxing Network, Stephane Cabrera attended the event. A former 16-time world champion in Muay Thai Osman Yigin presented at the gala.